"I'm very glad that I'm starting to build an unbeatable record in this event." - Kenyan 20-year-old David Rudisha, who followed his 1:42.01 800m in Rieti with a dominating meet record win worth $30,000 against the world's top 800m runners at the World Athletics Final on Saturday. So what's the hubub about threshold training? *Johnny Gray Coaching Distance At UCLA Both former runners seem to be good hires for the program looking to rebuild. Usain Bolt Pulls Out Of Asian Meets Citing Fatigue He's going to miss out on at least $750,000 in appearance fees alone as Daegu had reportedly offered him a half a million and Shanghai was surely paying at least his minimum of a quarter million. Your last chance to see him compete this year will be in Greece this weekend in the 200m. Peter Kamais Runs 27:09 To Win Tilburg 10k In The Netherlands! Sammy Kitwara is now the 4th-fastest man on the half-marathon list. Earlier this year he beat marathon world record holder Haile Gebrselassie over the 21.1km distance in The Hague. 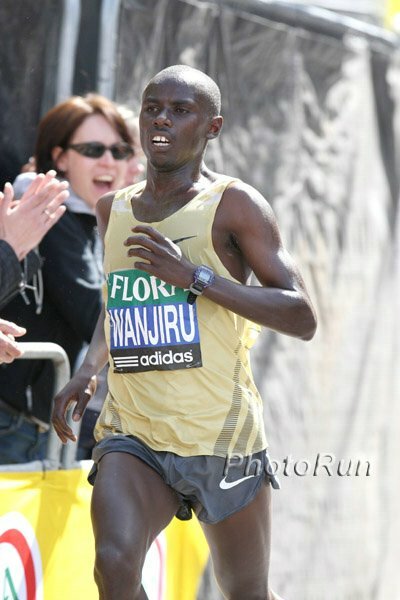 After today's positive split, it's almost a given that Sammy Wanjiru's world record 58:33 will be under threat soon. First 5000m today covered in unbelievable 13:37. 1. "Our DNA is different than [NBC's]. We serve sports fans. It's hard in our culture to fathom tape-delaying in the same way they have." John Skipper, ESPN's executive vice president for content, on why ESPN will do a better job televising the 2014 and 2016 Olympics should their bid win. 2. "You have to understand that most of our athletes live at or below the poverty level. A lot of people don't know that, but distance runners coming out of college, most of them are pretty poor. So when they can have a day like Brett had today, that changes their world." - Greg McMillan, coach of McMillan Elite, talking about new US champion Brett Gotcher's first US win in New Haven and the impact of the $8,000 paycheck. 3. "The most important thing is putting in the work on every given day. If you can put that together then you shouldn’t be afraid on the starting line. I really don't believe in fear; I believe in putting in the work. Sometimes things happen that are out of your control. Those things you should use to learn from and grow from." - American marathon record holder Deena Kastor speaking one week after her New York City Half Marathon disaster. Deena says she may surprise people and win in Chicago if everything goes perfectly. 4. "Doubt is unhealthy for all concerned - it means the benefit of doubt should go to Semenya (quite rightly), but it leaves a lot of scope for future controversy. For Semenya's rivals, many of whom are already highly suspicious if not straight-out convinced of her ineligibility, it means their doubts remain or even grow." - Ross Tucker, PhD, co-author of Science Of Sport writing about the latest Caster Semenya news reports and rumors. 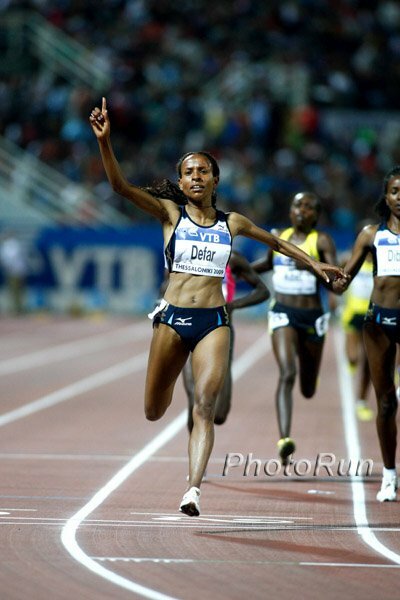 Recommended Read: Addis Fortune Magazine Takes A Close Look At Kenenisa Bekele's Monetary Earnings This is a really fascinating article as it gives you an idea of how money inspires Bekele and the huge monetary difference between being the world's best distance runner and the world's best golfer (or even the world's best sprinter). *IAAF: "No Matter What The Gender Results Say, Semenya Can Keep Her Medal."